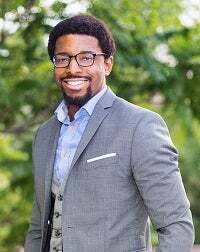 Jeff Thomas is a 5th year doctoral candidate in Organizational Behavior at the NYU Stern School of Business. His research focuses on rivalry, diversity, and voice. Jeff’s dissertation examines the paradox of rival cooperation. This research asks how rivalry may influence the identities and behaviors of competitors. In the domain of rivalry, Jeff also studies the effects that rivalry have on goal setting and competitive attention. In an evaluation of how feeling different influences communication at work, Jeff examines the role of expectations in workgroup communication. This research examines contextual factors that may shift employees sense of safety and communication at work. The type of language that leaders use can have complex effects on employee's perceptions and behaviors. This research examines the tradeoffs associated with “sounding like a leader” in the traditional sense. Michel, J. Pace, V. L., Edun, A., Sawhney, E., & Thomas, J. (2013) Development and validation of an explicit aggressive beliefs and attitudes scale. Journal of Personality Assessment, 96, 327-338. Michel, J. S., Viswesvaran, C., & Thomas, J. (2011). Conclusions from meta‐analytic structural equation models generally do not change due to corrections for study artifacts. Research synthesis methods, 2(3), 174-187. Thomas, J. P., Whitman, D. S., & Viswesvaran, C. (2010). Employee proactivity in organizations: A comparative meta-analysis of emergent proactive constructs. Journal of Occupational and Organizational Psychology, 83, 275-300. Simms, L. J., Yufik, T., Thomas, J. P., & Simms, E. N. (2008). Exploring evaluative person descriptors through scale development. Journal of Research in Personality, 42, 1271-1284.